As I research and hunt for pointe brands around the world, I become more impressed with the wide variety of manufacturers that supply dancers in the performing arts genre in the country of Argentina. It’s always interesting to see what dancers have to choose from in their localities and of course, now, around the world. 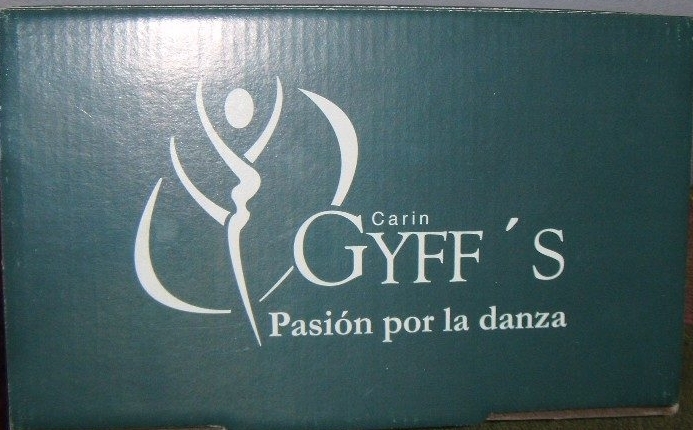 Here is yet another pointe shoe brand; Gyffs of Argentina. Although the Gyffs Company has an about page on their website, it gives no indication of the founder of the business. It is apparent that the name Carin Gyffs is the person or idea behind the company branding. 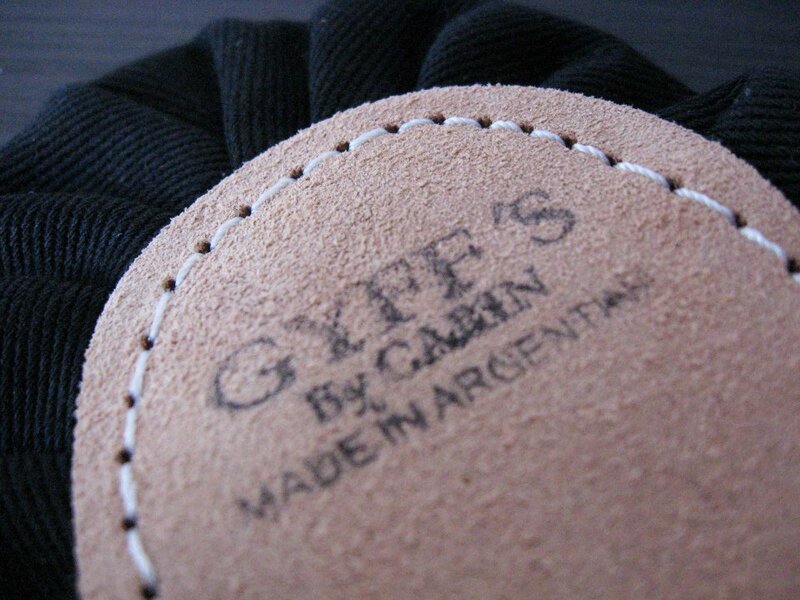 The Gyffs showroom is located in Buenos Aires, Argentina. The company has been in business for over 25 years supplying ballet dancers and gymnasts with high-quality shoes, apparel and accessories. The byline on the shoebox says A Passion For Dance. During my online research, I found that this brand name is referred to as both Carin Gyffs and Gyffs by Carin when mentioning their dance wear products. Typically, with foreign brands, I search using the language of origin. I cannot find any mention of who Carin Gyffs is. From the photo, we can see what looks like a soft, brushed leather sole for traction. The initials in the center are difficult for me to make out; my eyes see either G&A or what looks like a backwards R. This is a mystery. 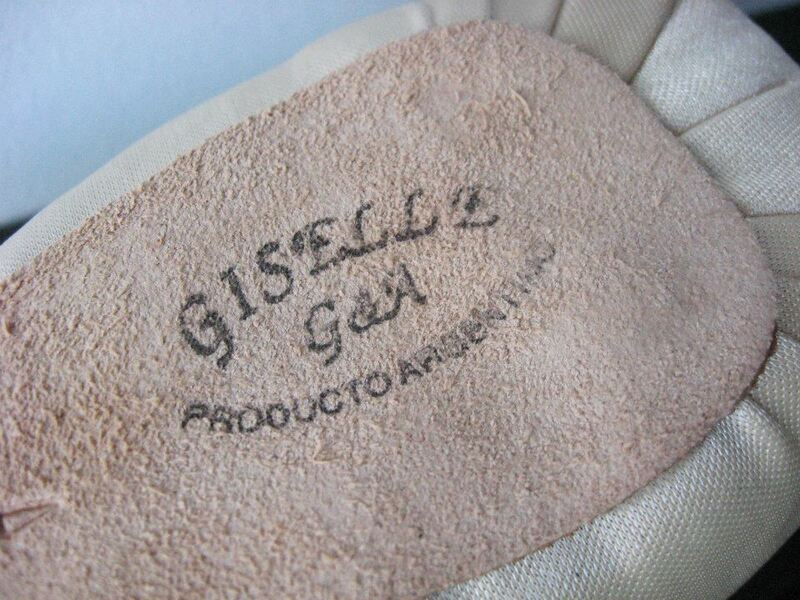 The company branding tells us that this is a genuine Spanish pointe shoe designed and manufactured in Argentina. This is not only great for dancers, but for collectors as well. I did receive a response from the company when I asked whether the pointe shoe shown on their official website was the Giselle model. The answer was yes. Bravo, Gyffs, for actually answering an email inquiry! You get 2 points. Did you give me any specifications? No. Subtract 2 points. *I am going to be addressing this problem and many others with pointe shoe companies in my next post. This entry was posted in Spanish Brands and tagged Argentinian pointe shoe brands, Carin Gyffs pointe shoes, Gyffs by Carin pointe shoes, pointe shoes made in Argentina, Spanish pointe shoes. Bookmark the permalink.